We focus on providing a friendly, professional service and only use high quality products on all of our installations. It’s this that gives us the edge over our competitors and ensures our customers are satisfied every time. If you have any queries relating to our products or services please get in touch with the team at Valley today. "Thanks to all the team at valley for another successful conservatory project. the original conservatory is now around five years old and the new build was to create an accurate airing and this has been more than achieved. the two when viewed together both look as new-build and family and friends agree. all the best in your business and many thanks." "Just want to say a big thank you for the beautiful conservatory. we love it, all your workers were hard working pleasant and did a professional job and nothing was too much trouble. we changed our minds and had a new inside door which opens the room up, i know that we added a bit more on to the price with this but it gives us so much more use of the room. you as boss of the company kept a close eye on the work and called regularly to check on things. a professional job and you can call anytime for a coffee in our conservatory." "We have just had 7 windows and a set of french doors fitted and we are extremely happy with the speed, finish and service we received and all at a very competitive price too! thank you very much valley windows, thanks to brian, Glenn and Steve, fantastic job, would recommend to anyone." 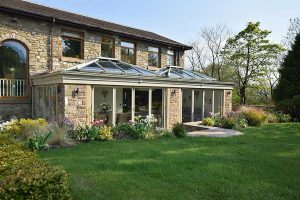 "The work carried out by valley windows and conservatories was most exemplary, i was particularly impressed by the speed at which their fitters arrived and the attention to detail in which the work was carried out. Although my requirements were on a small scale they non the less gave 100% satisfaction from the minute they arrived until completion, the fitters were prompt, diligent and courteous." Mr Martin, Skipton, North Yorkshire. "We have just had an extension built to replace our old conservatory. It was built in the time specified, despite the snow and we could not be more satisfied with it. Dominic kept us informed during the build and was very helpful. The tradesmen were also helpful, friendly, considerate and amusing. we would have no hesitation in recommending valley conservatories." "Please accept this message by way of thanks for completing our conservatory to a very high standard. Much groundwork was also required and all of your people were helpful and very professional. 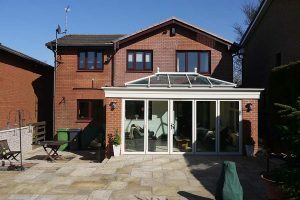 The conservatory was completed within the allotted time scale and unlike a precious property with another company, went virtually without a hitch. Please feel free to use this letter in any way you feel fit." "Just wanted to express our thanks to you and all your team for a job really well done. Everyone of the tradesmen who came to us were professional, hard working and most importantly very good at what they do! Also always left everything clean and tidy. the orangery looks great - we are very happy!" "Thank you for the completion of our conservatory, we are very pleased with the finished product." "I write to you to thank you for the excellent build you and your team have done. From start to finish the work men were prompt, neat, tidy, polite, and if and when they couldn't get to do the work (which was very rare) they phoned, - this goes a long way. I hope you and all the team every success in any future work that you do. I have no hesitation in recommending the company." "I am just emailing to say how much we are enjoying the new conservatory you completed in March. We have hardly used the living room or dining room since you finished it. We especially like the blue reflective roof you suggested - that combined with the fan has meant the conservatory has been comfortable what ever the weather this summer. The brick match is excellent too so it doesn't look like a new 'add-on'. Please mention us to your builders and fitters - all very professional, hard working and certainly very interesting to listen to!"